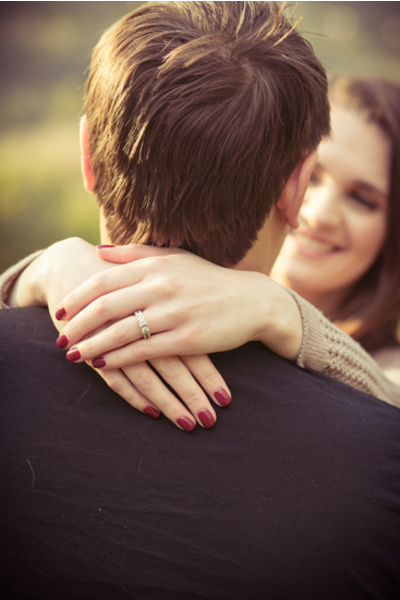 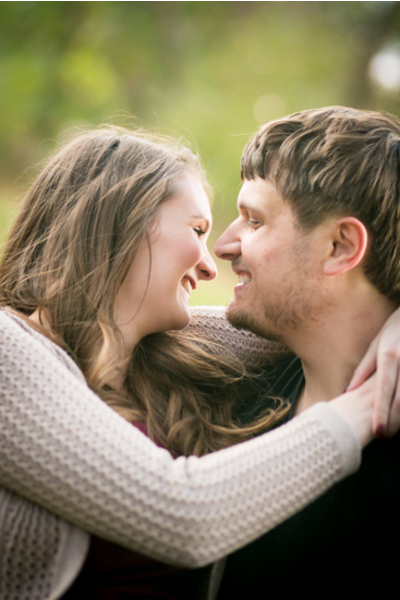 Congratulations to Katie and Tim on their recent engagement! 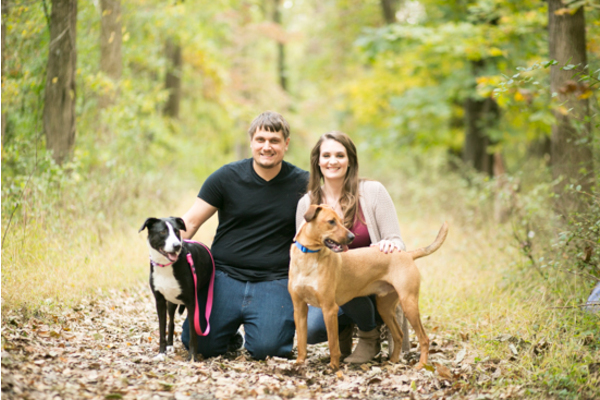 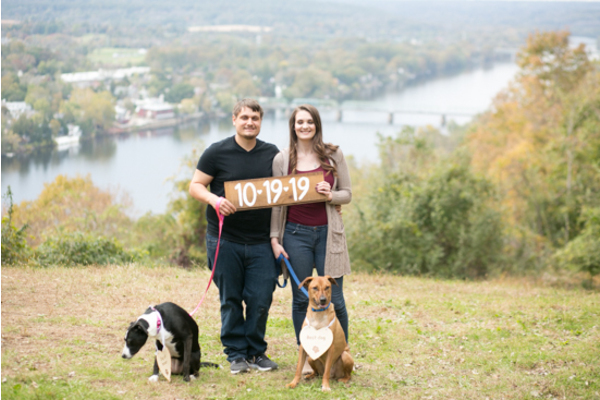 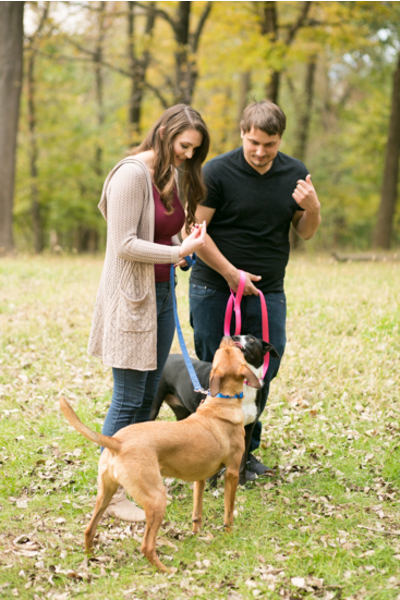 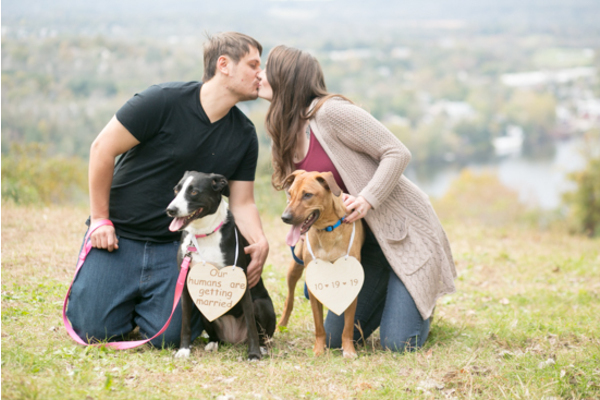 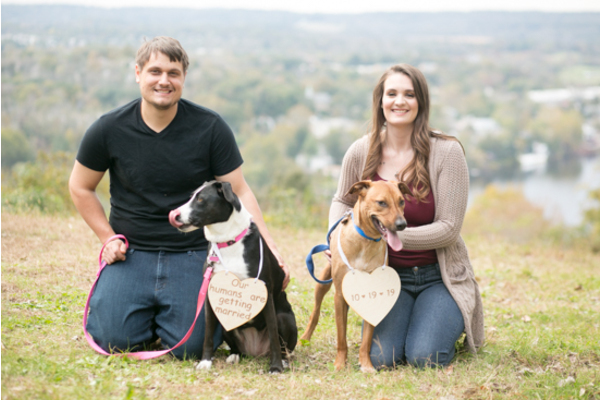 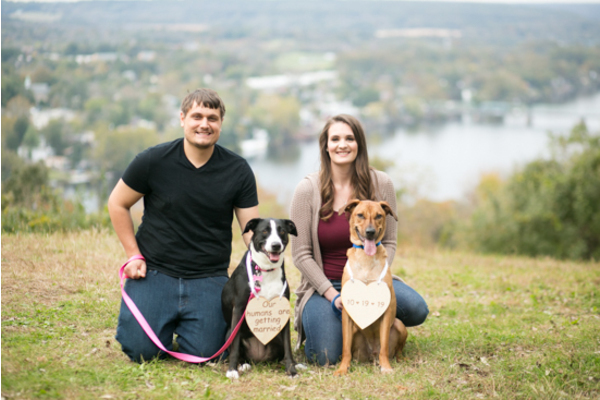 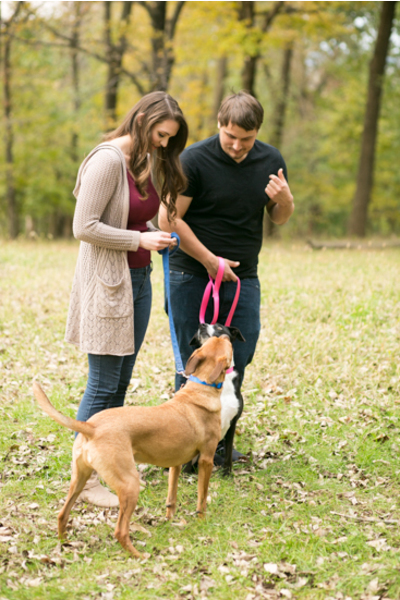 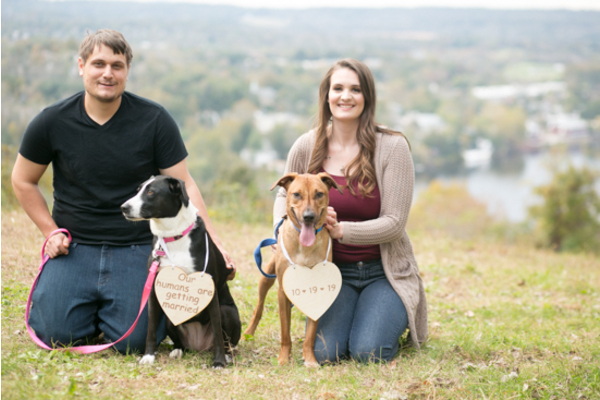 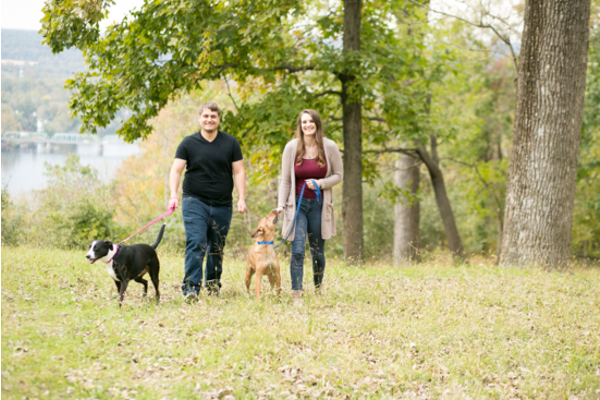 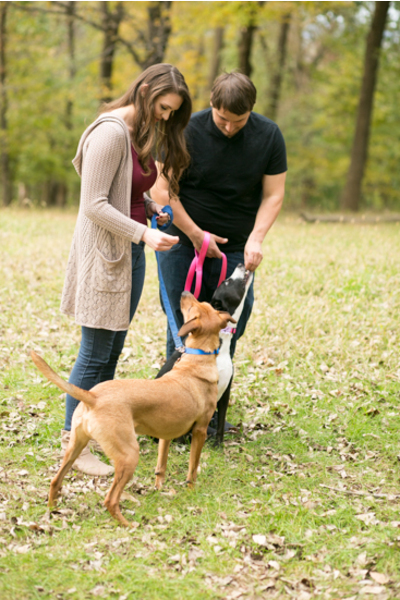 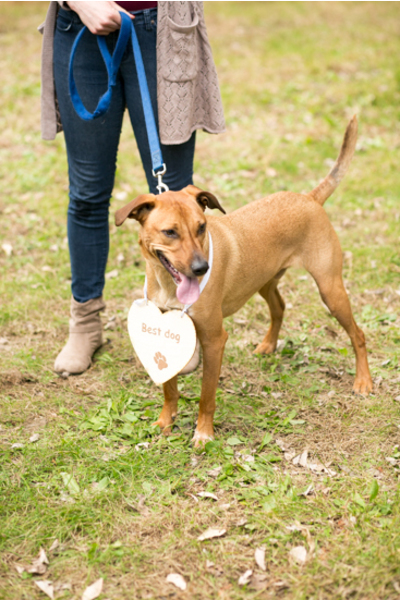 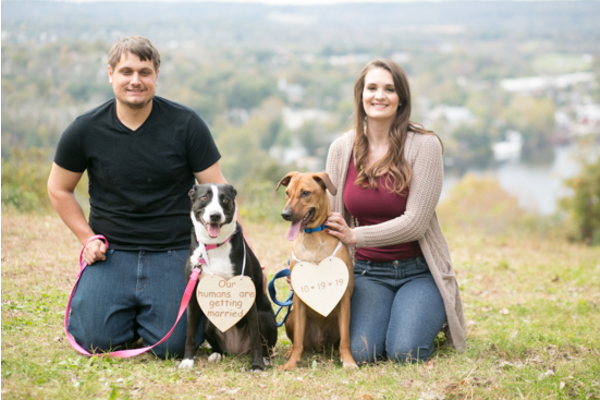 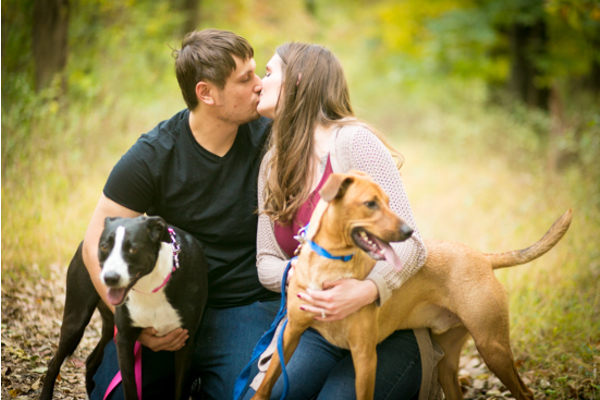 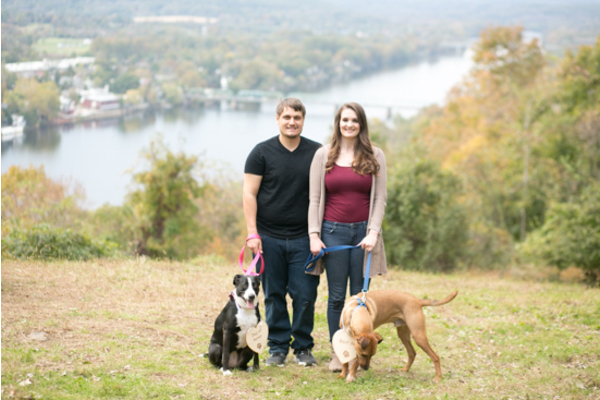 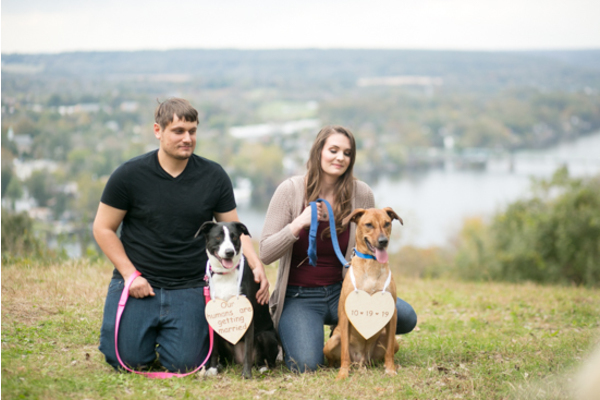 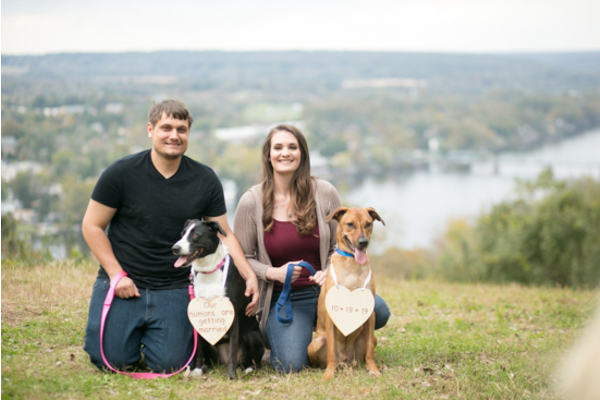 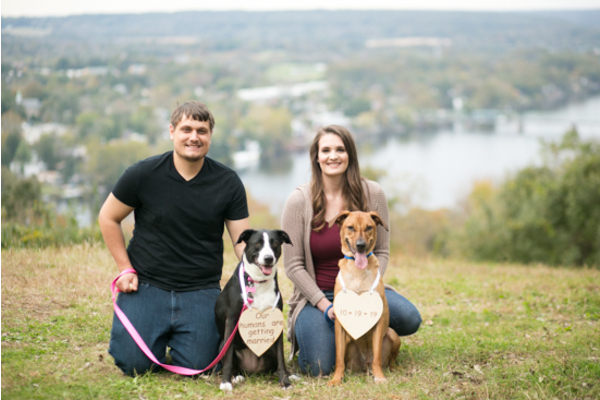 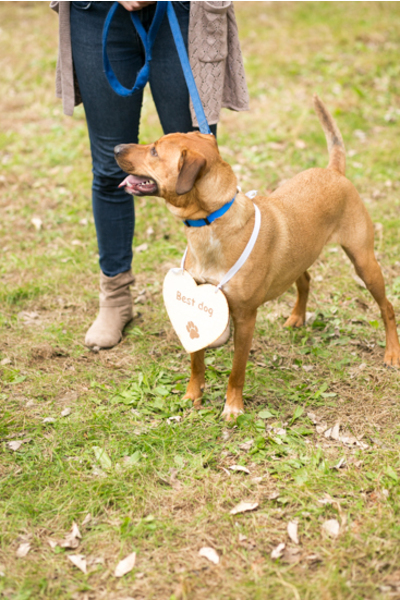 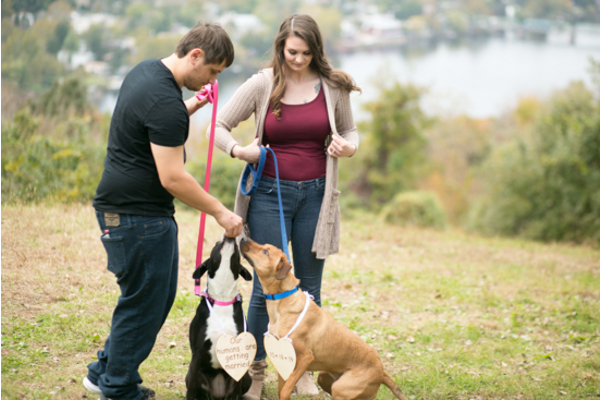 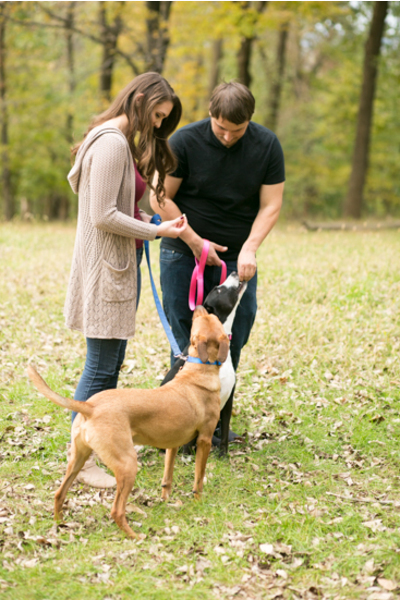 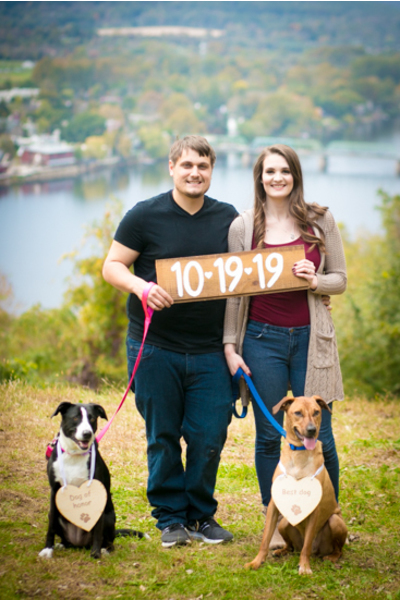 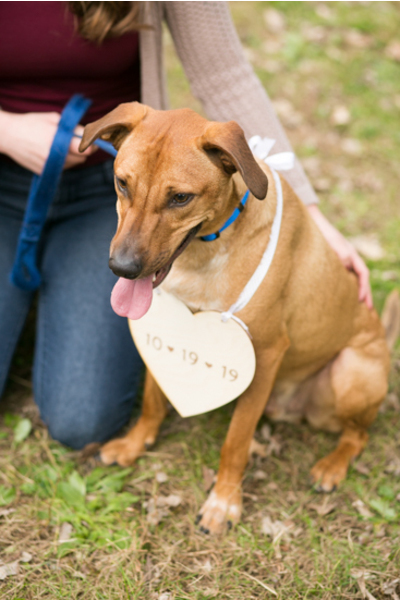 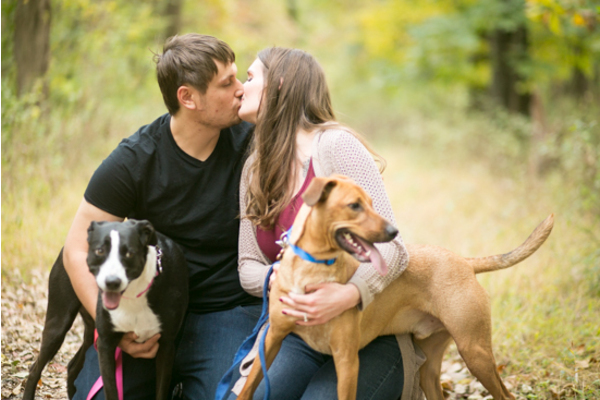 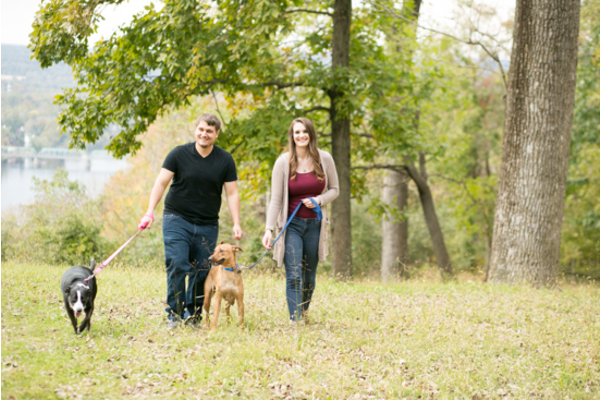 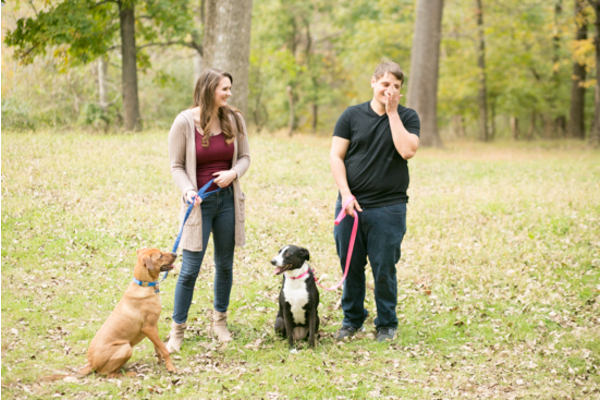 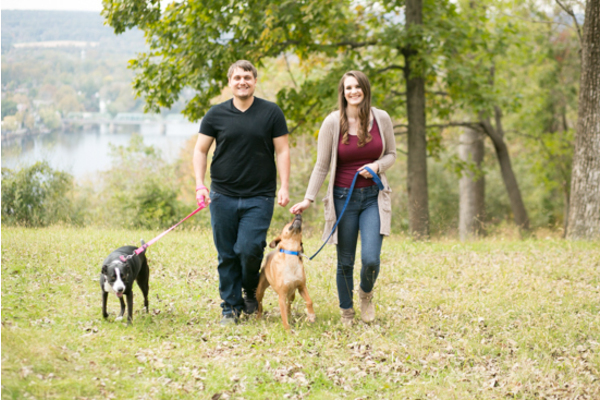 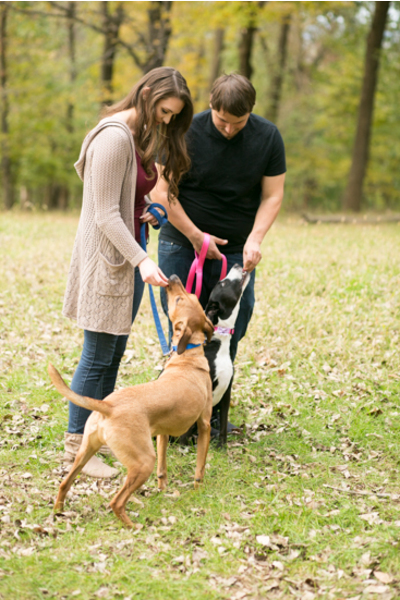 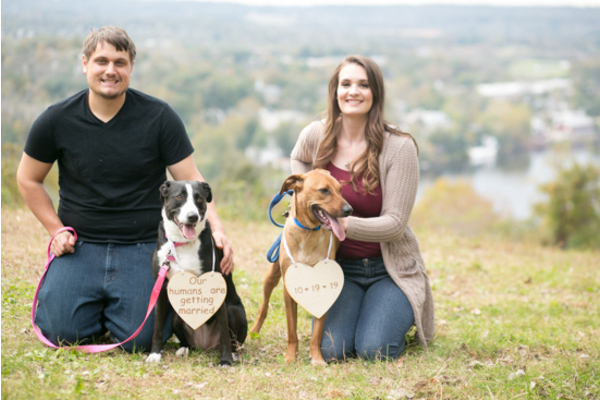 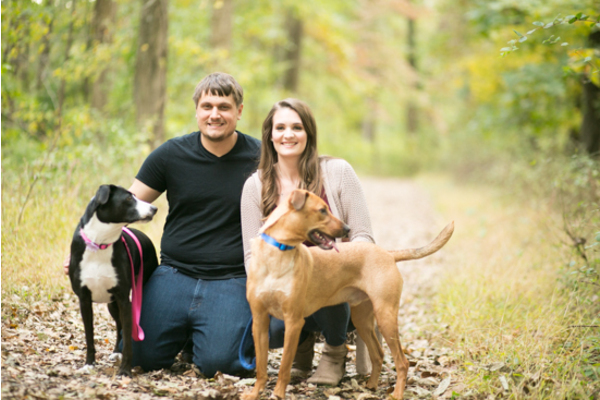 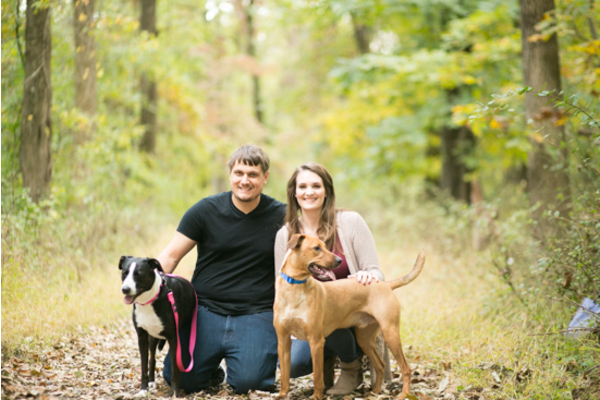 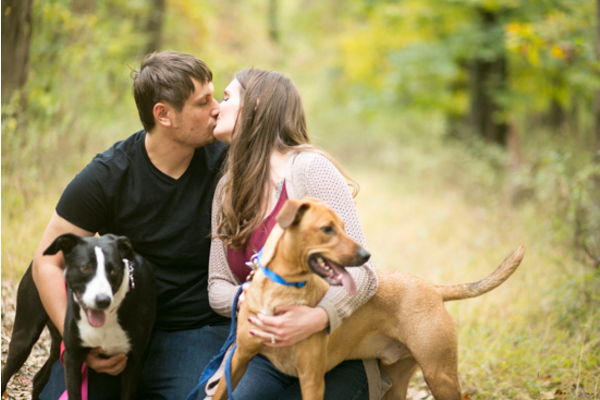 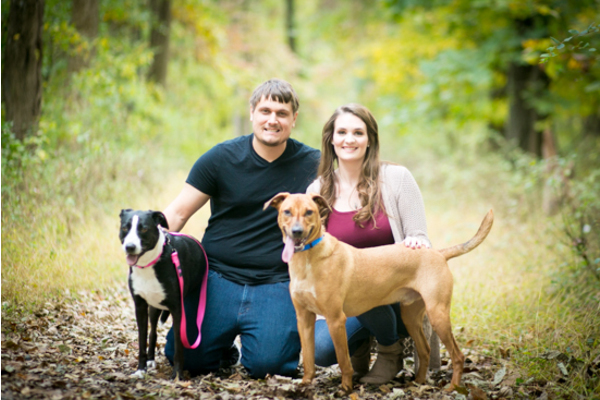 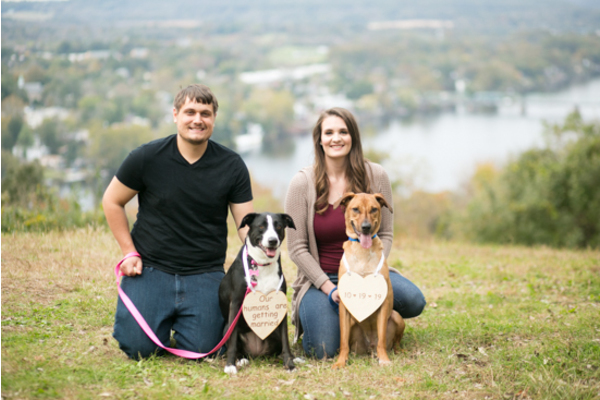 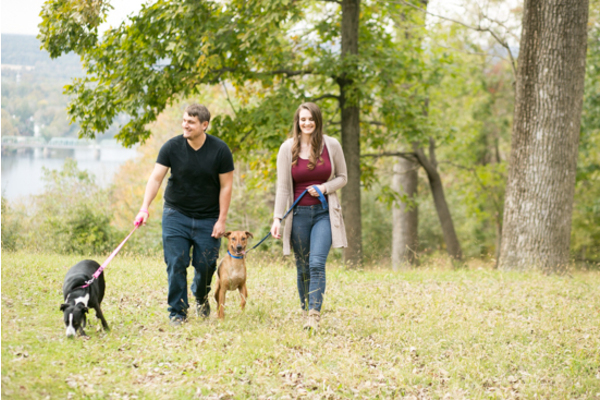 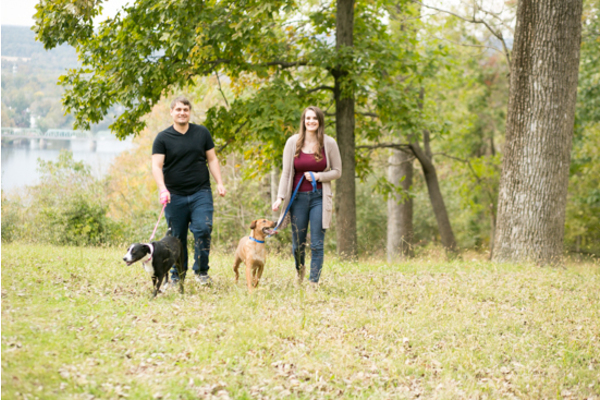 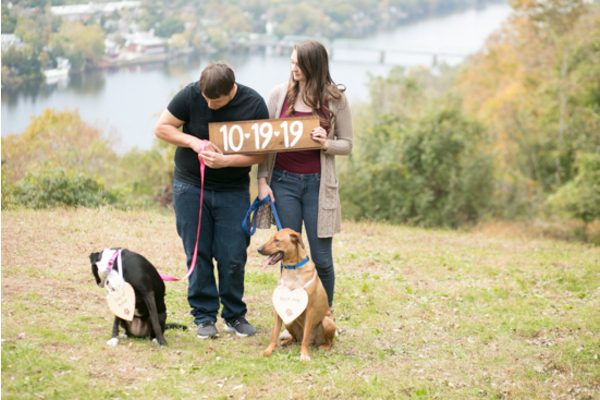 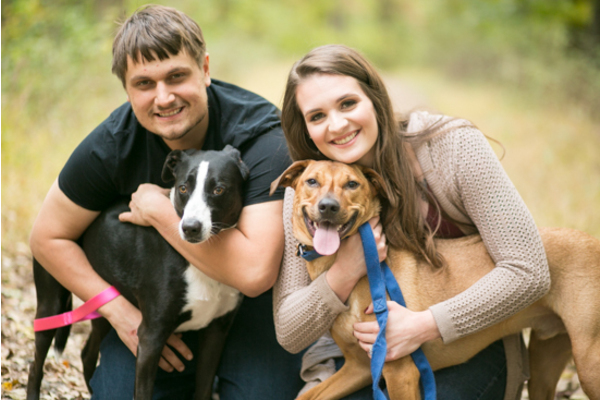 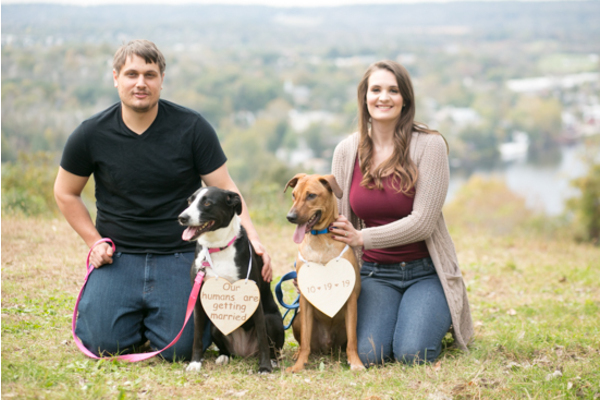 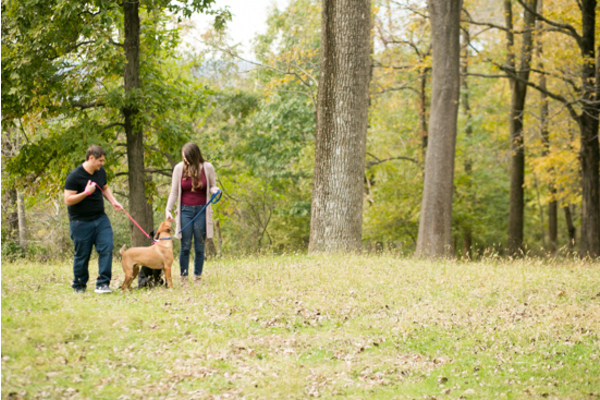 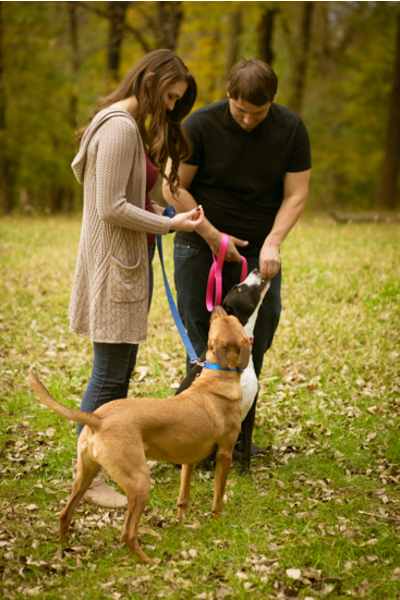 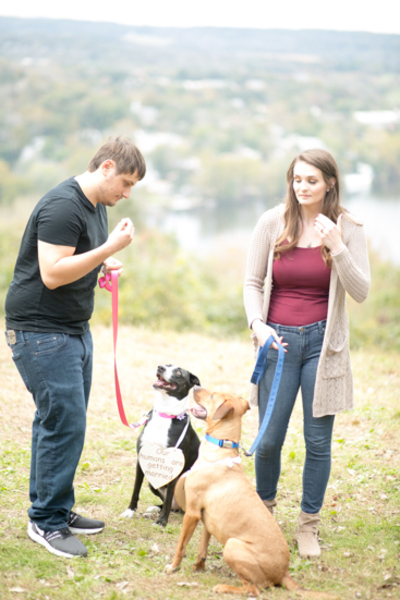 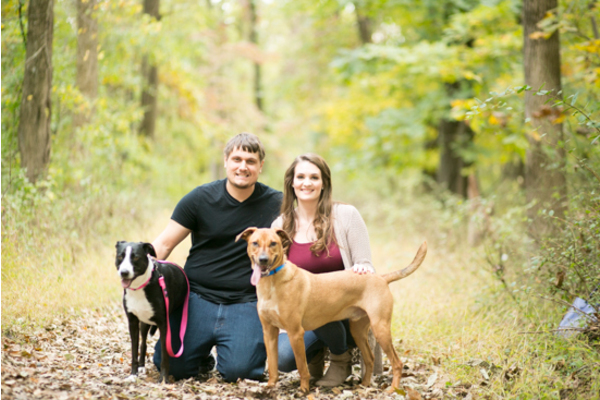 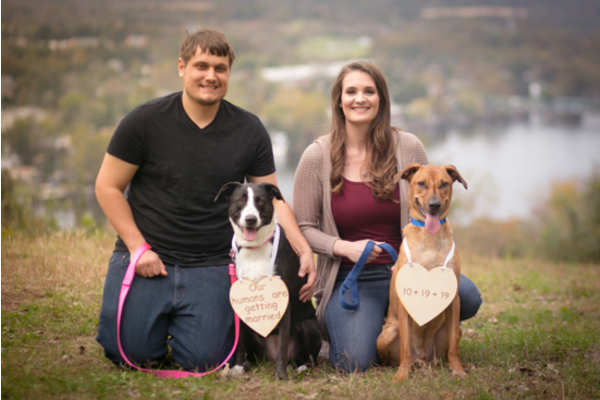 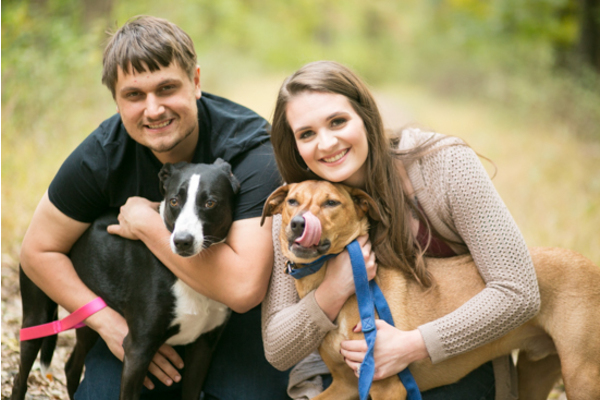 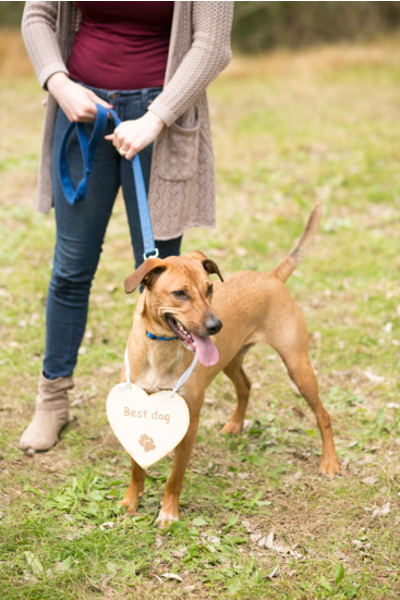 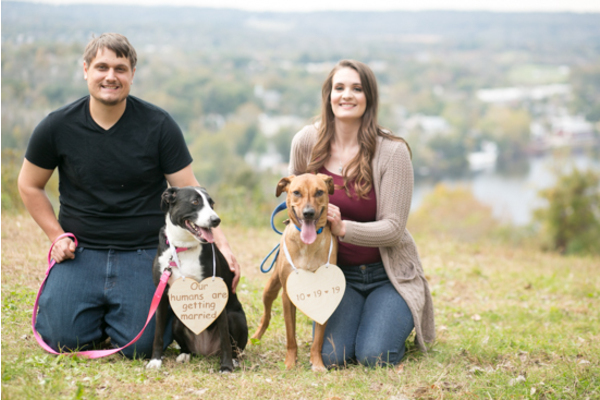 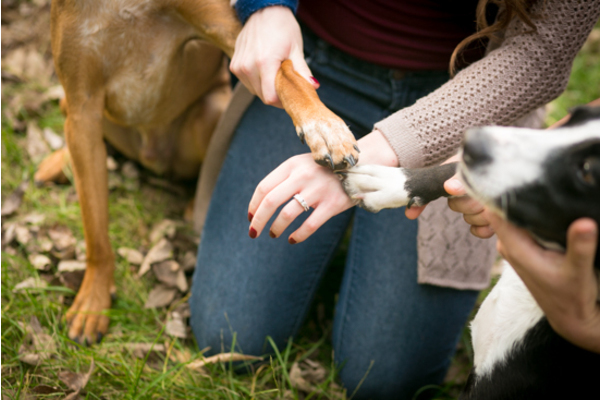 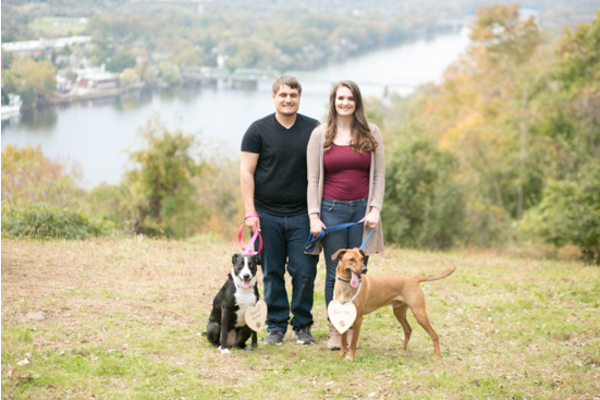 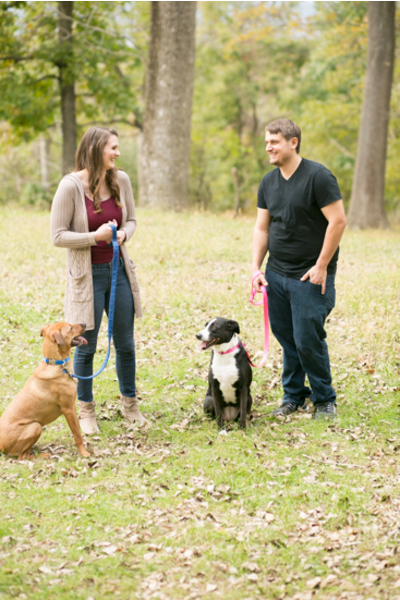 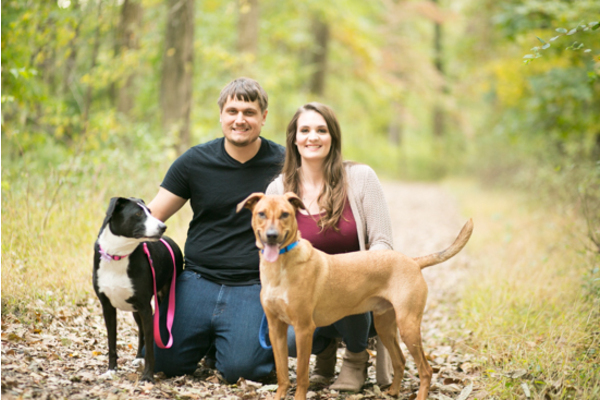 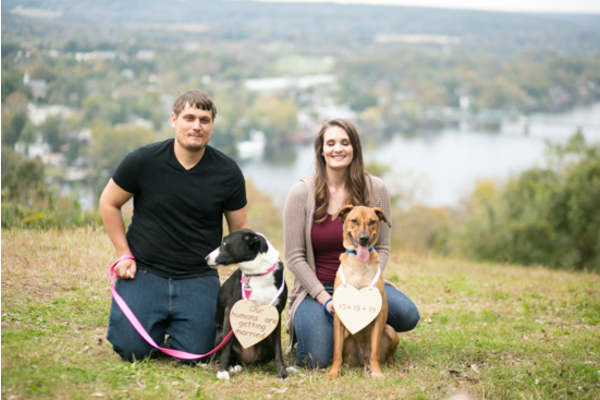 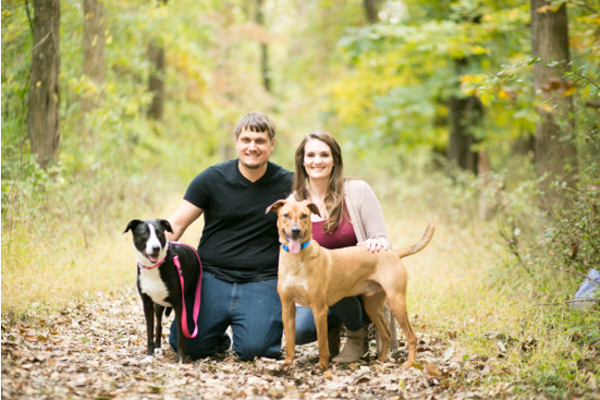 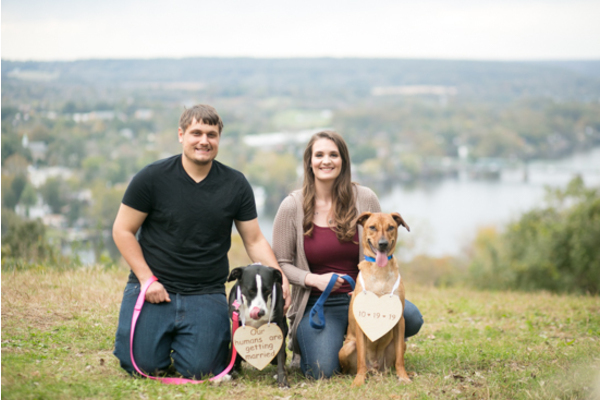 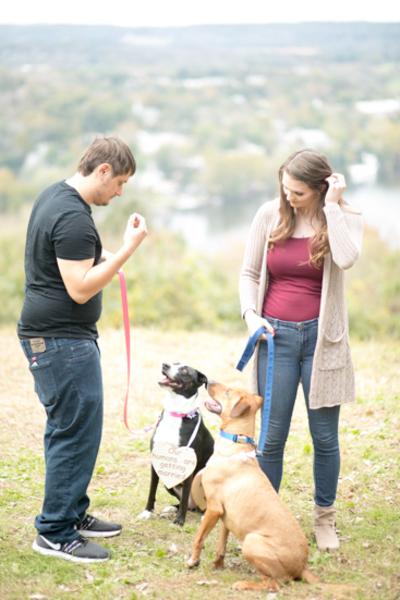 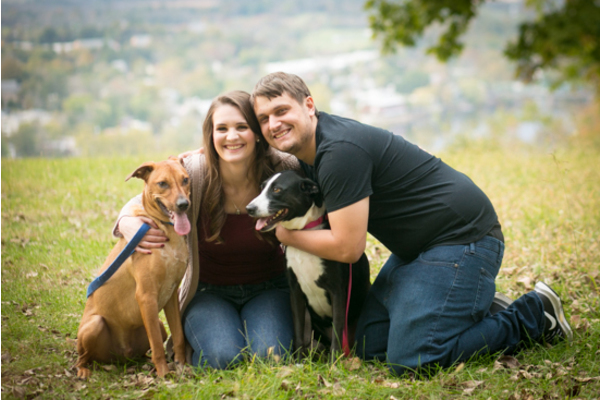 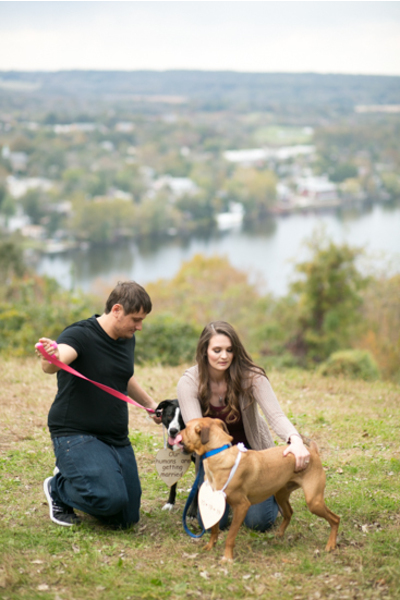 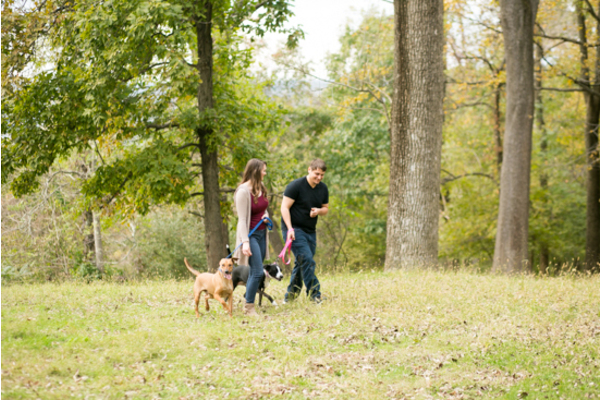 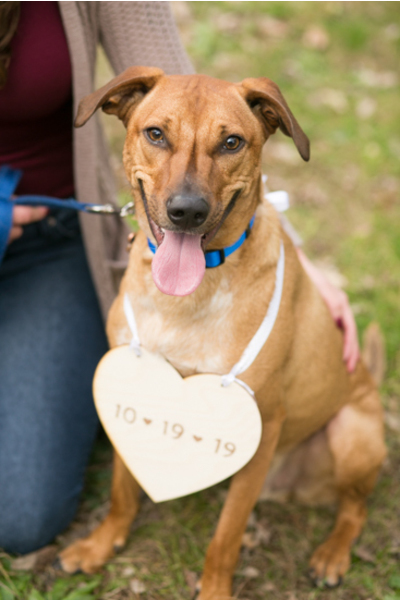 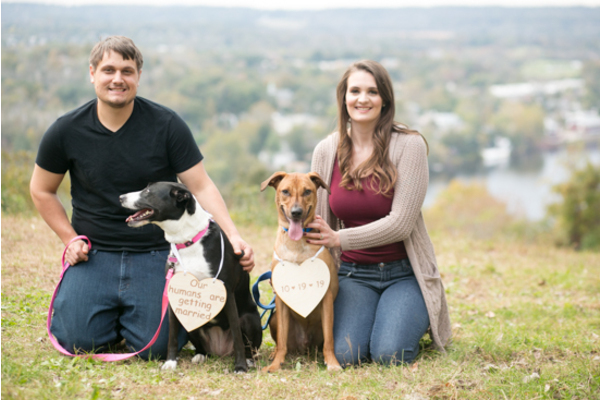 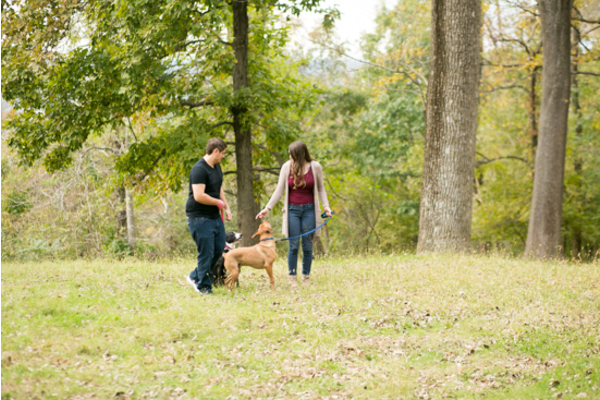 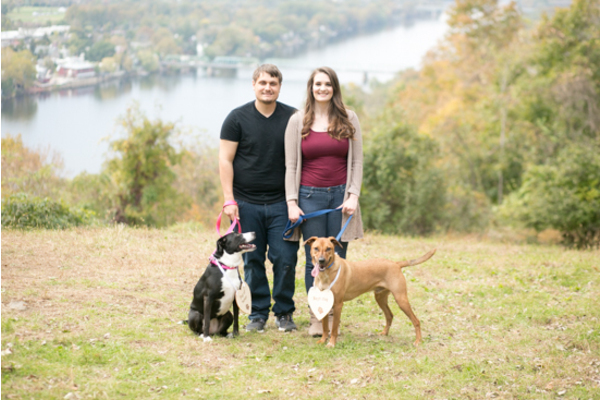 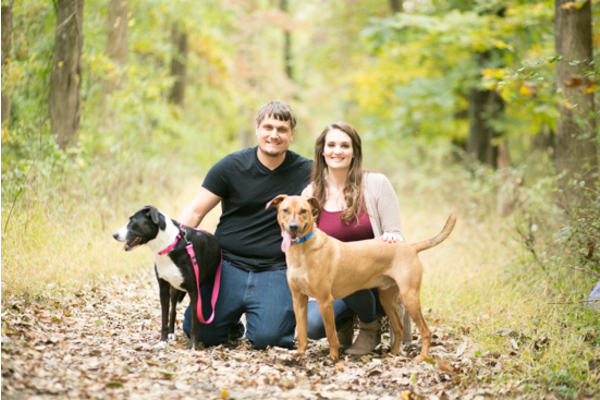 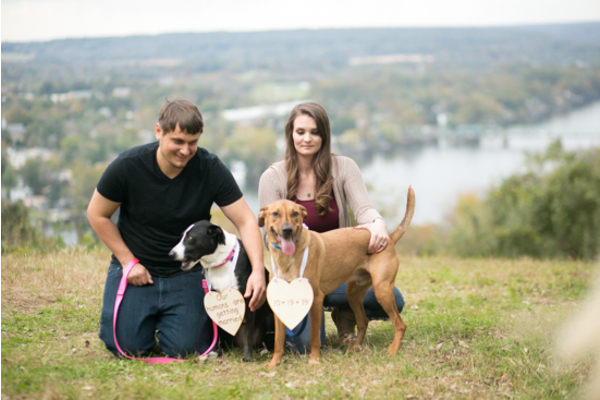 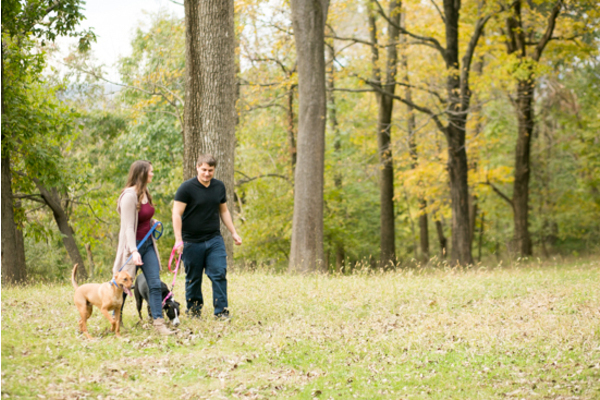 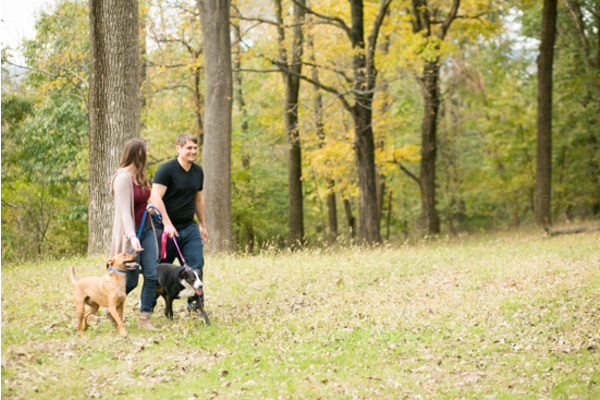 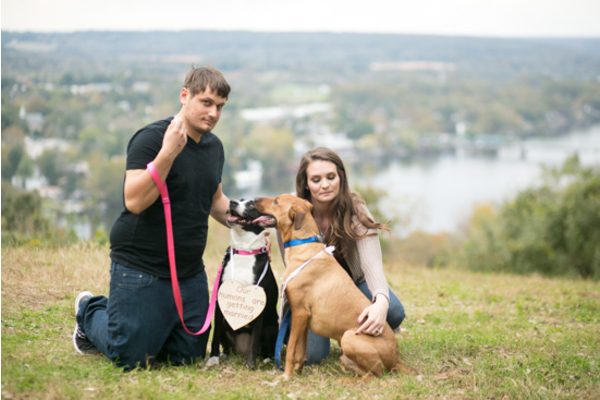 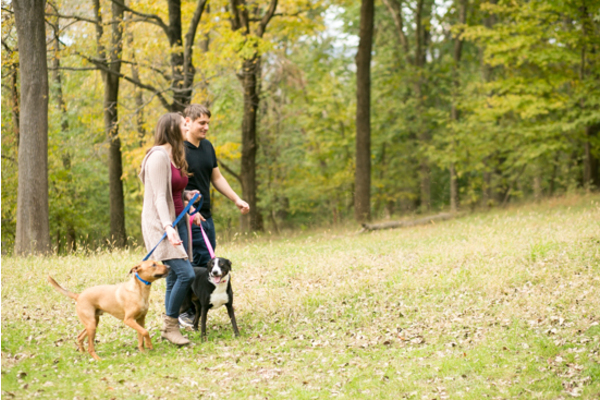 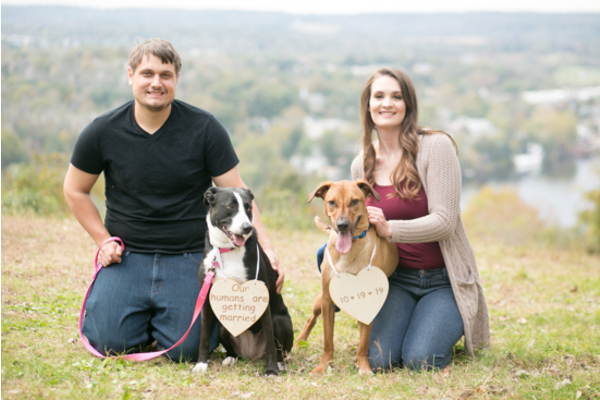 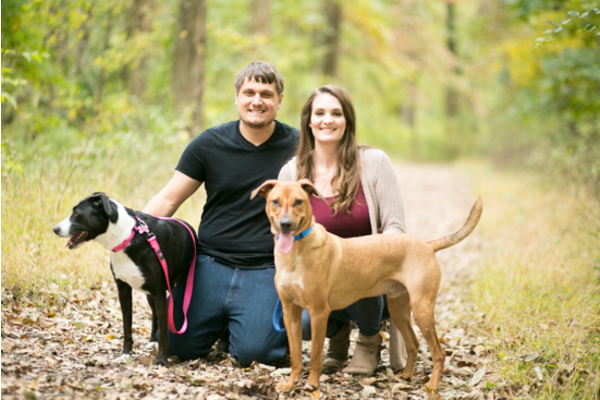 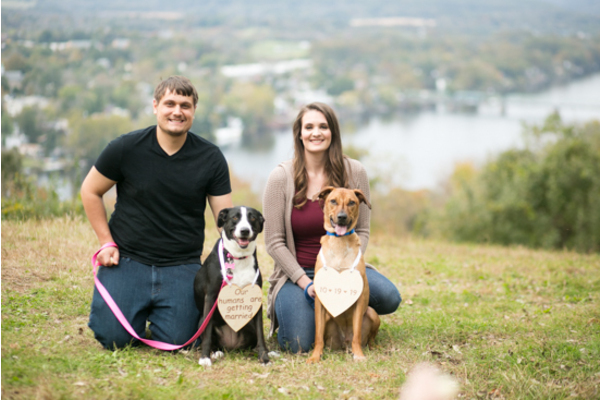 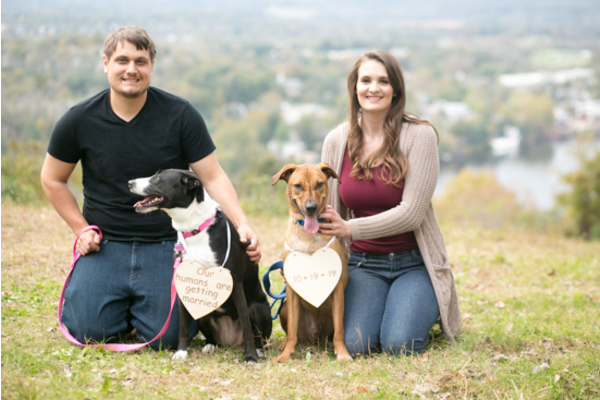 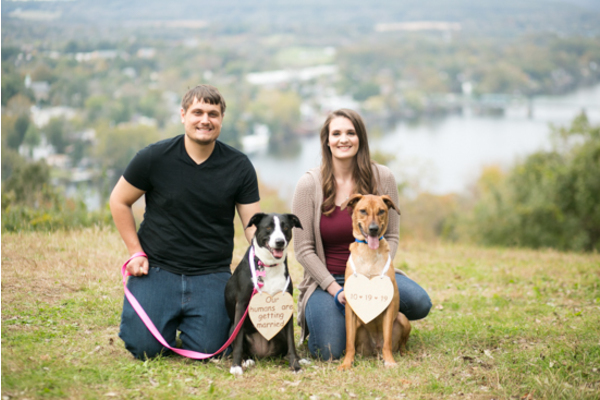 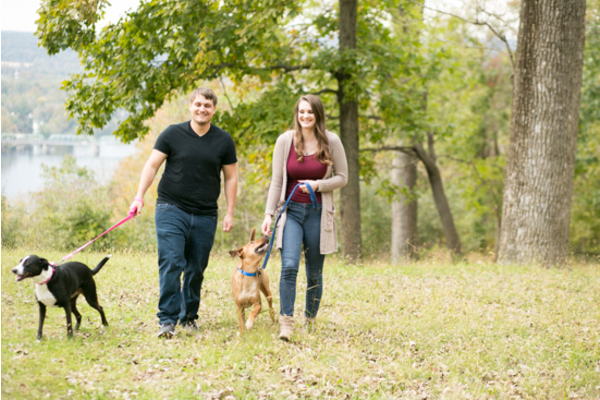 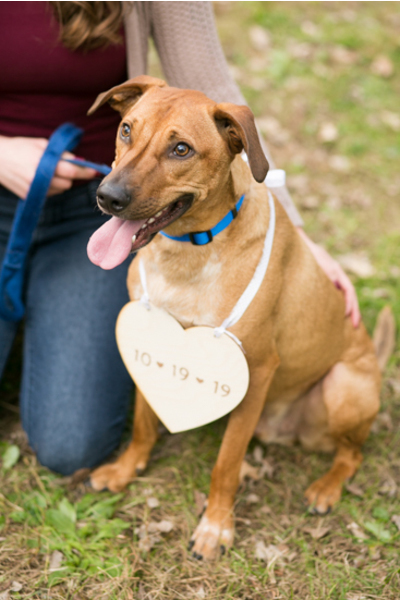 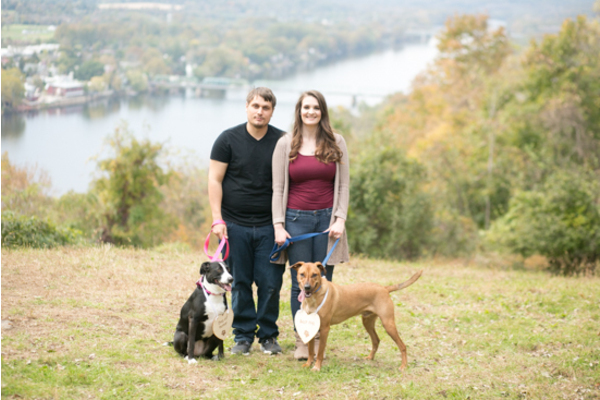 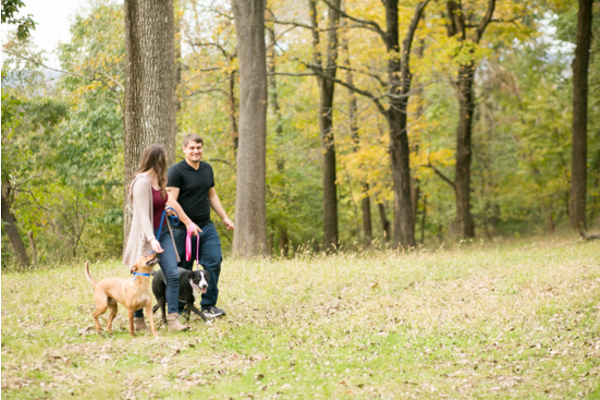 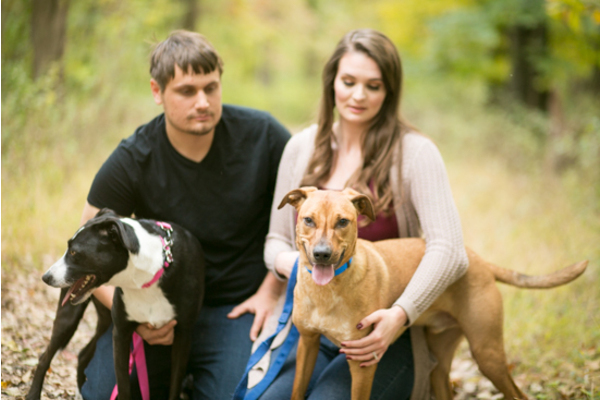 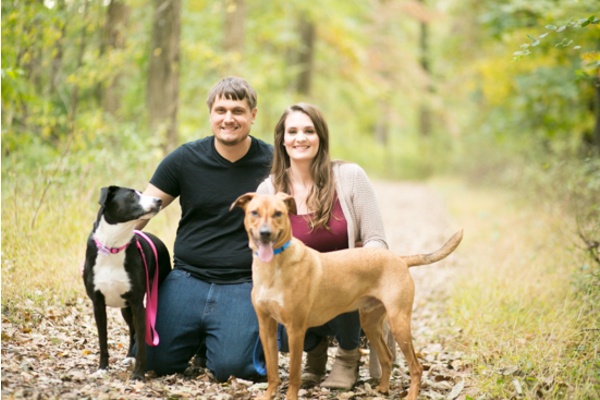 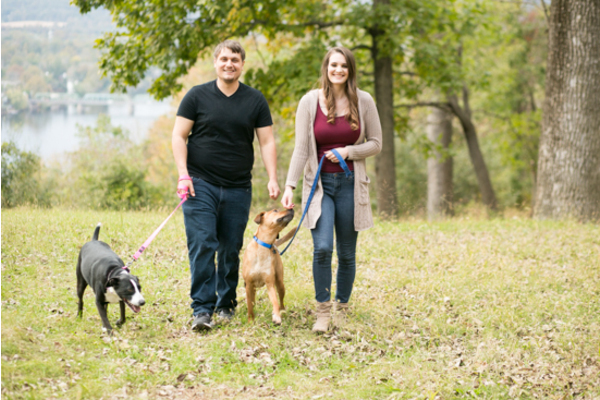 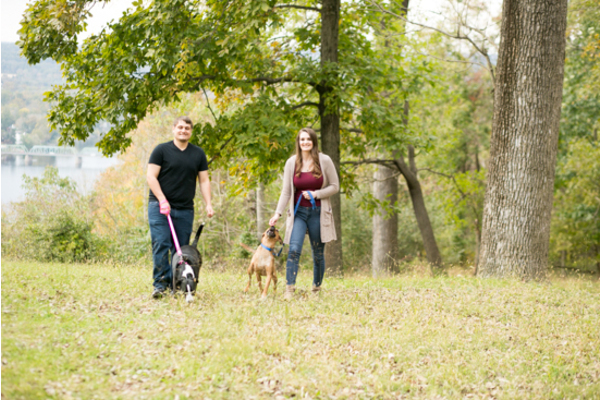 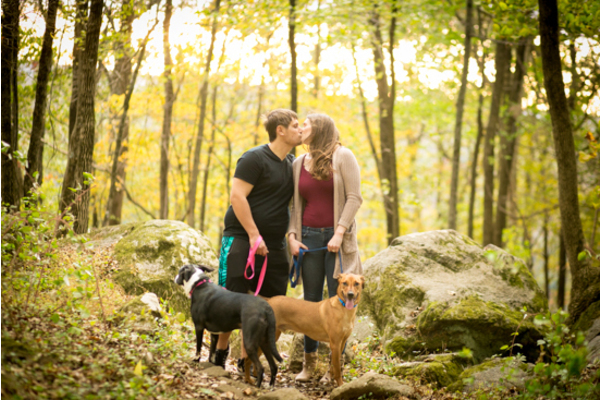 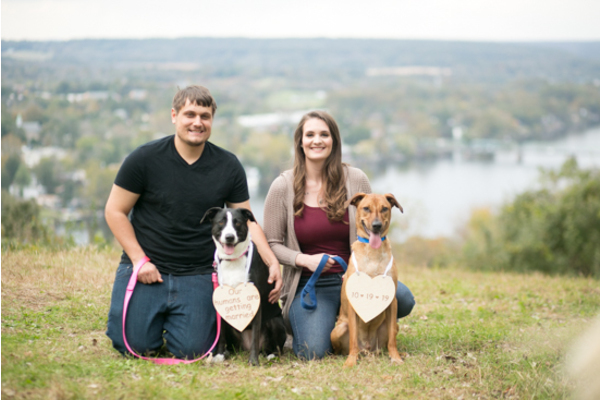 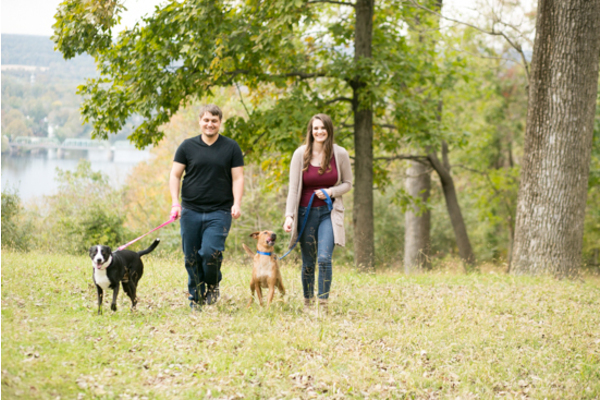 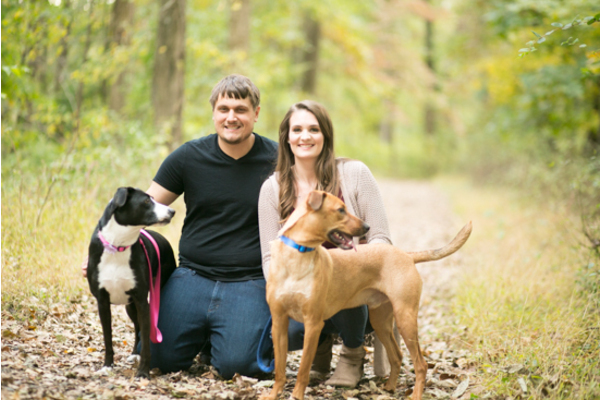 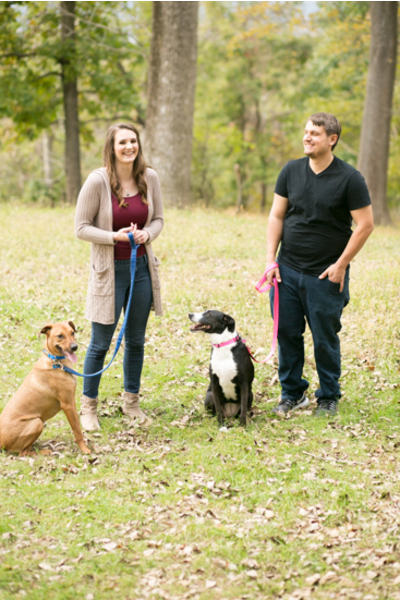 This happy couple took their four-legged friends along for their fun engagement session this fall with our NJ Wedding Photographer. 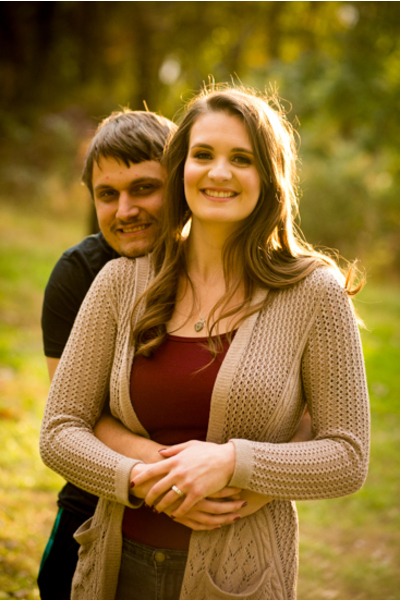 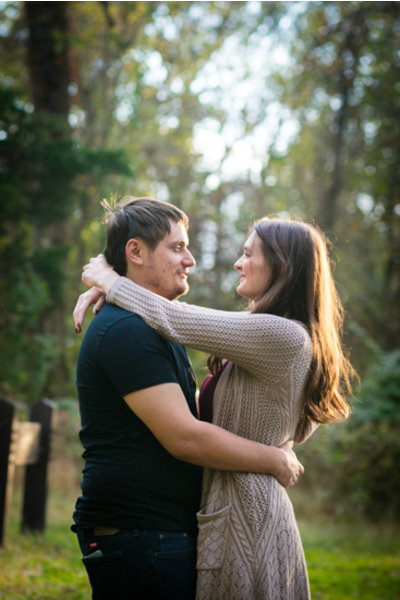 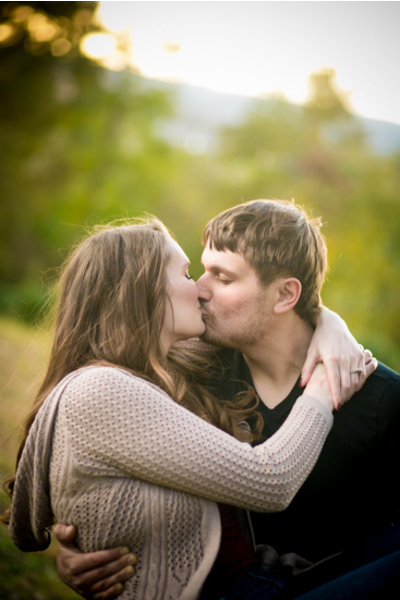 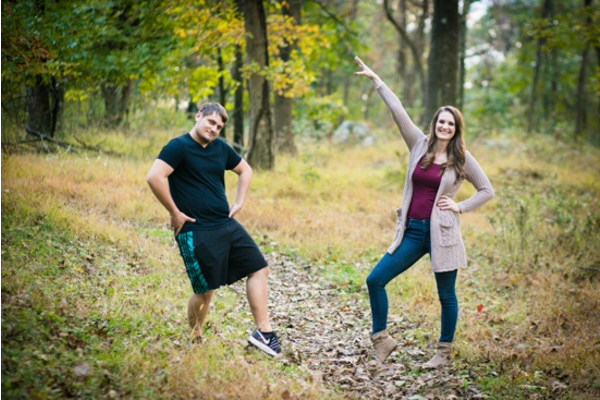 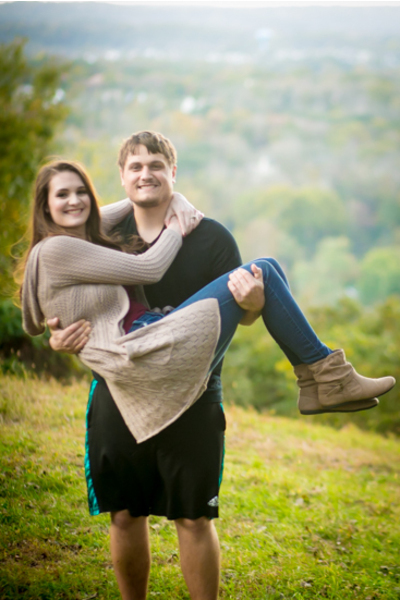 The soon-to-be newlyweds are set to tie the knot in October of 2019 at the Running Deer Golf Club! 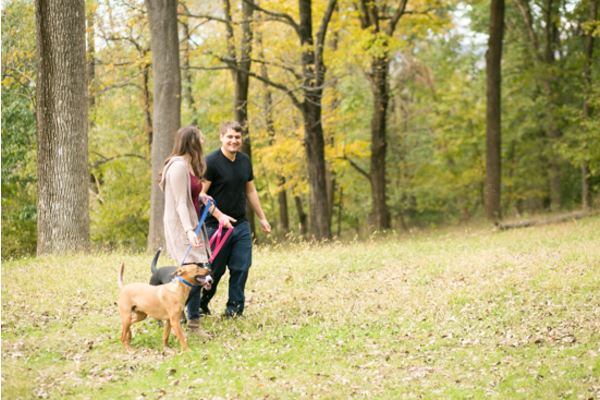 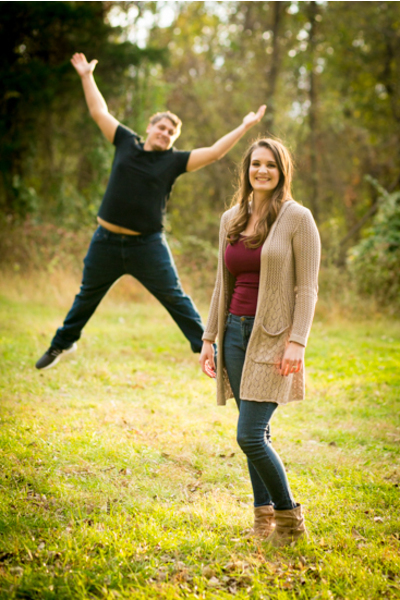 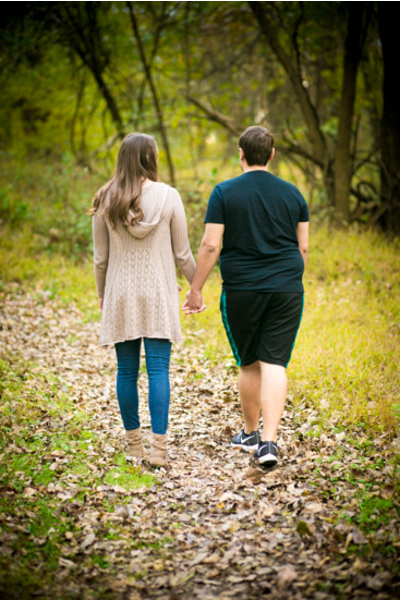 This outdoor engagement shoot was such a fun day! 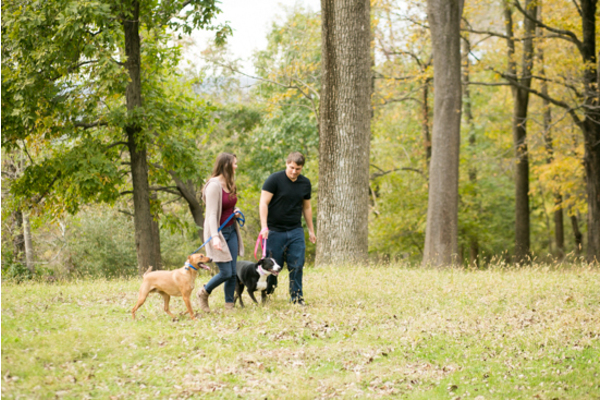 The couple started on the mountain side with their pups. 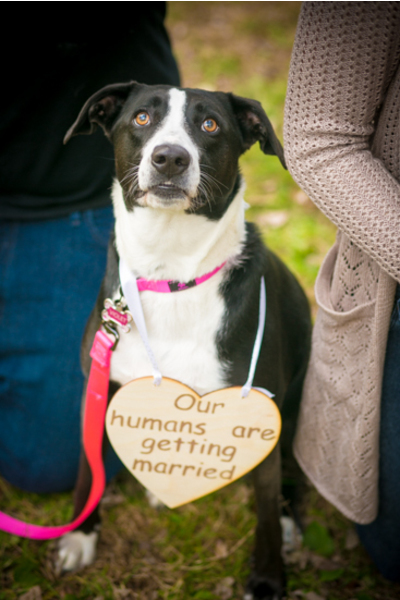 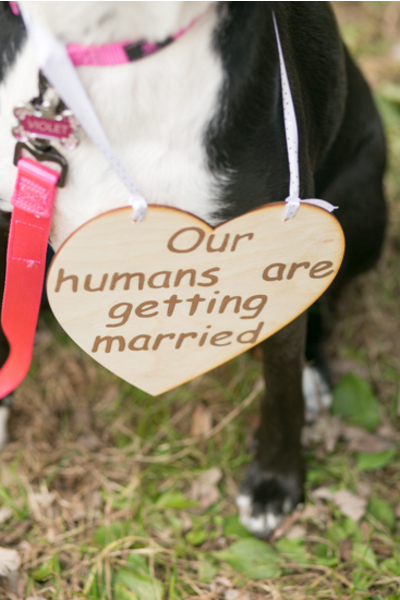 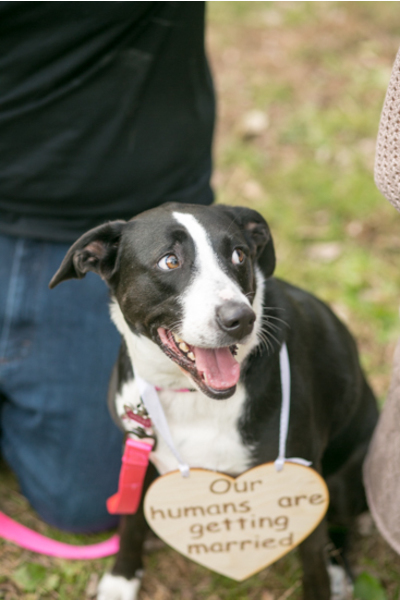 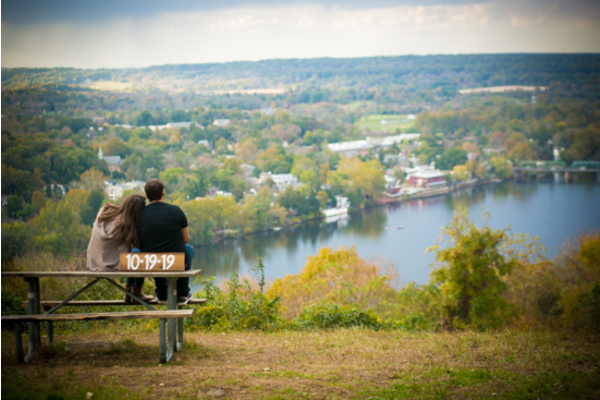 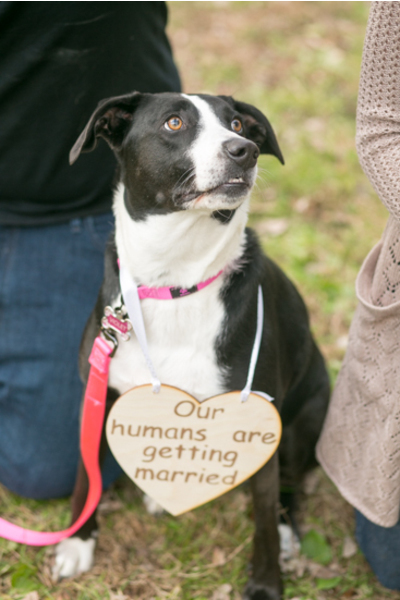 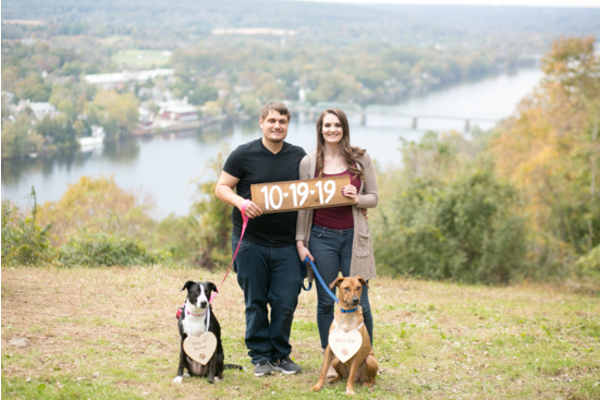 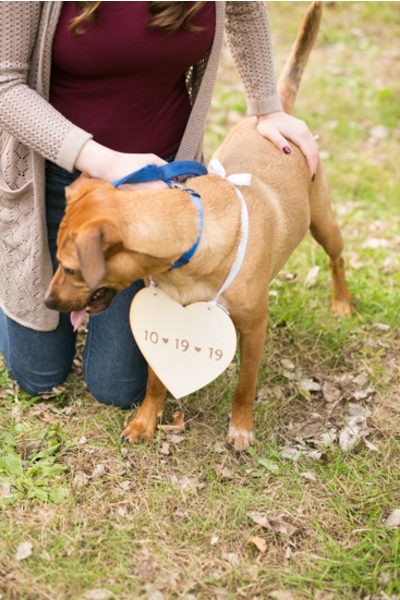 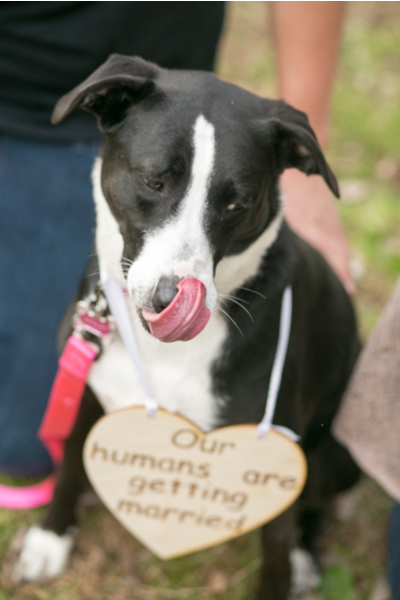 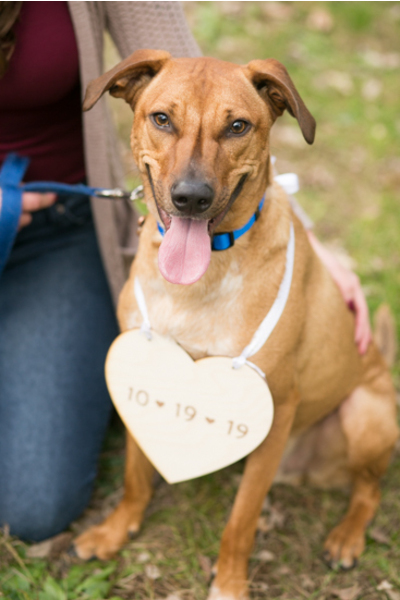 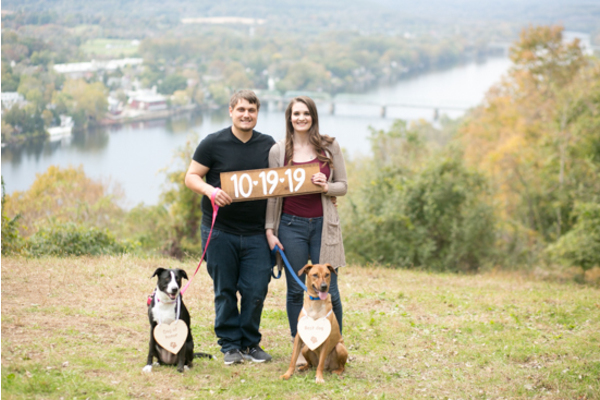 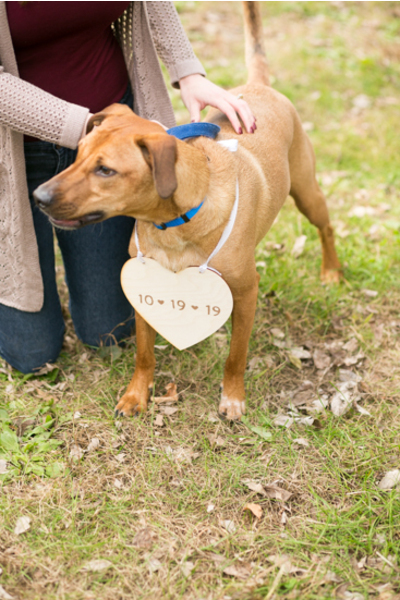 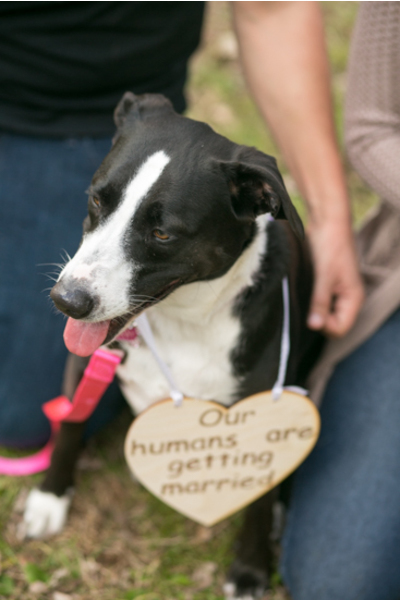 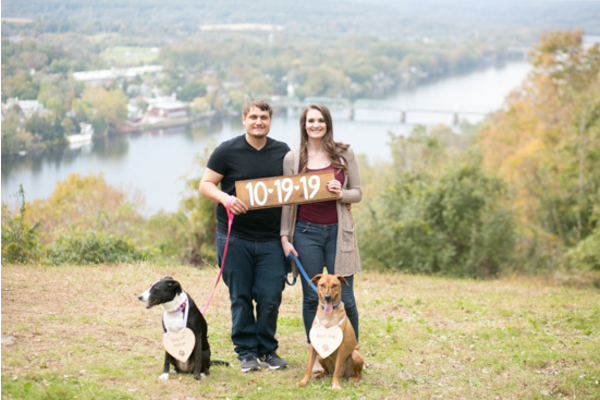 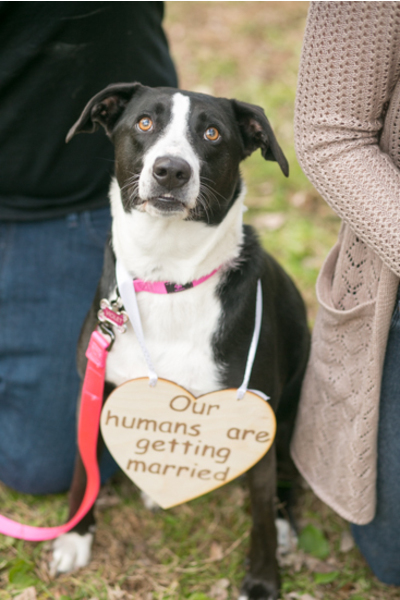 One of the dogs was wearing a sign that read “Our humans are getting married” while the other dog’s read “10-19-19!” The background was so beautiful, overlooking the whole town. 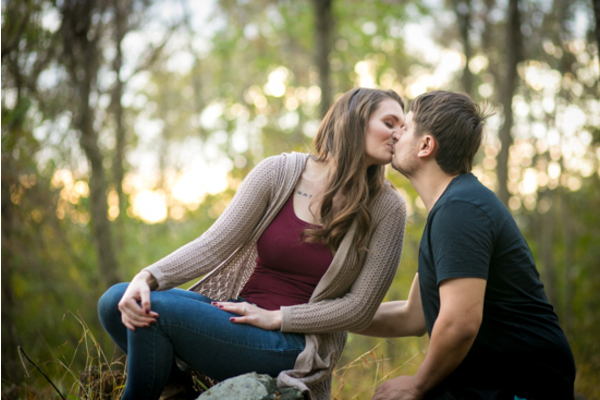 Our NJ Wedding Photographer was there to capture the couple and scenery! 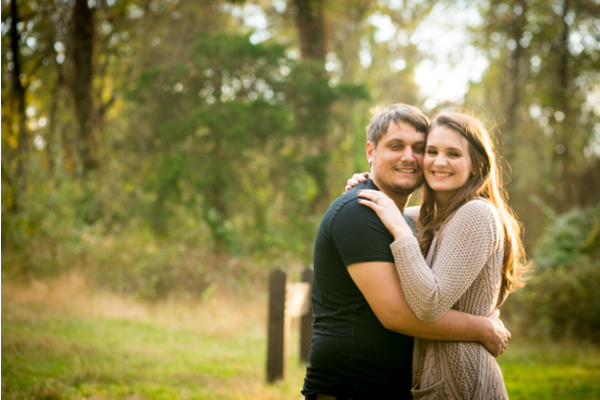 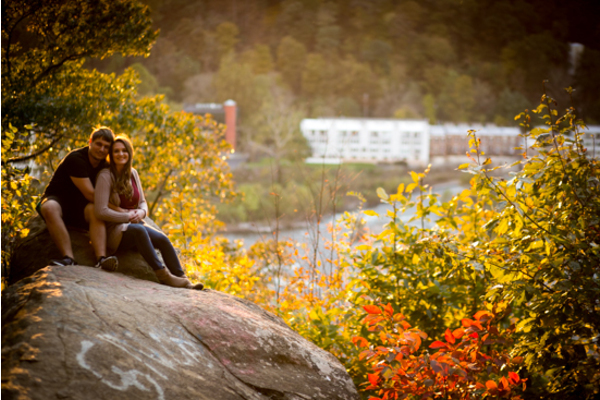 The leaves on the trees were just beginning to change color and it made the photos just that much more beautiful! 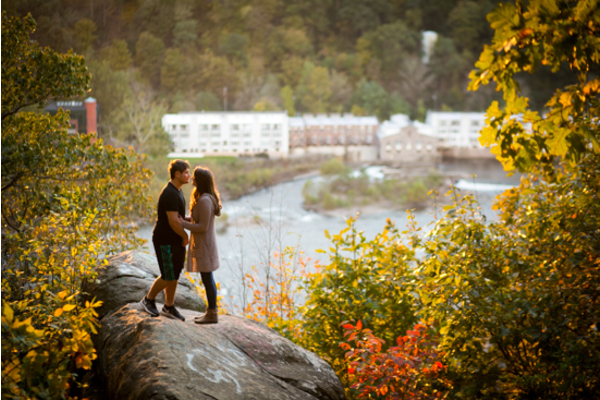 The couple then cheered with their coffee mugs that said “Let’s have coffee together for the rest of our lives.” After a quick outfit change, they went hand-in-hand down the tree lined trail where they came across a large rock to sit on by the water. 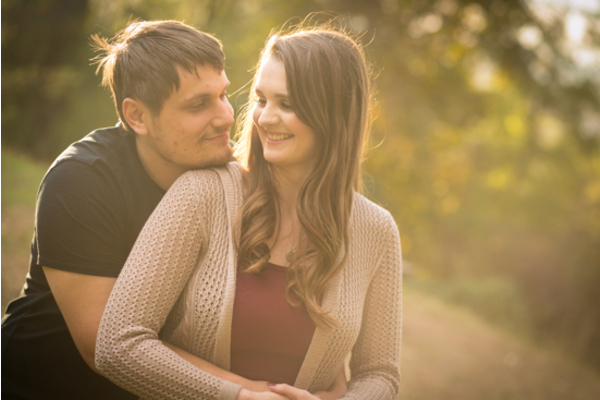 These sunset photos came out absolutely amazing! 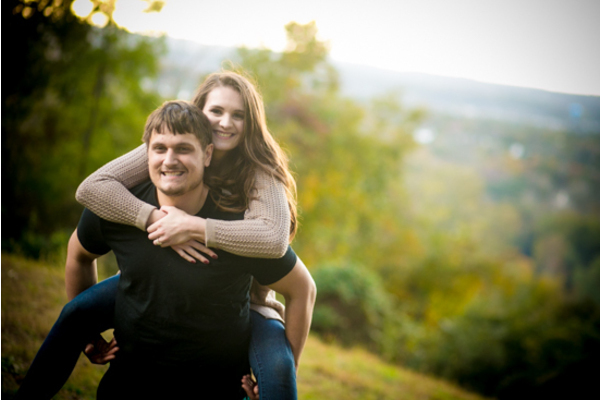 Our NJ Wedding Photographer cannot wait to be back at Running Deer Golf Club for when Katie and Tim say their “I Do’s”. 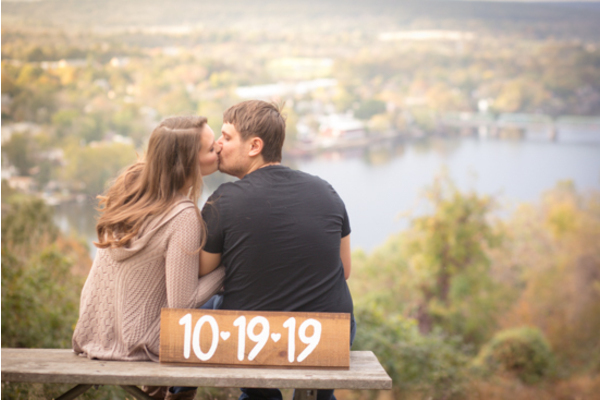 Congratulations, again, to Katie and Tim! 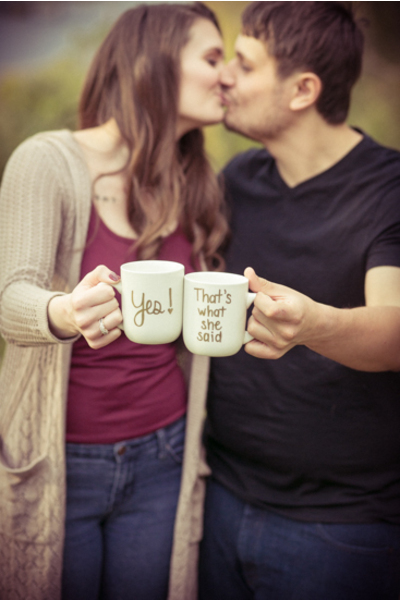 The countdown to drinking coffee together forever begins!